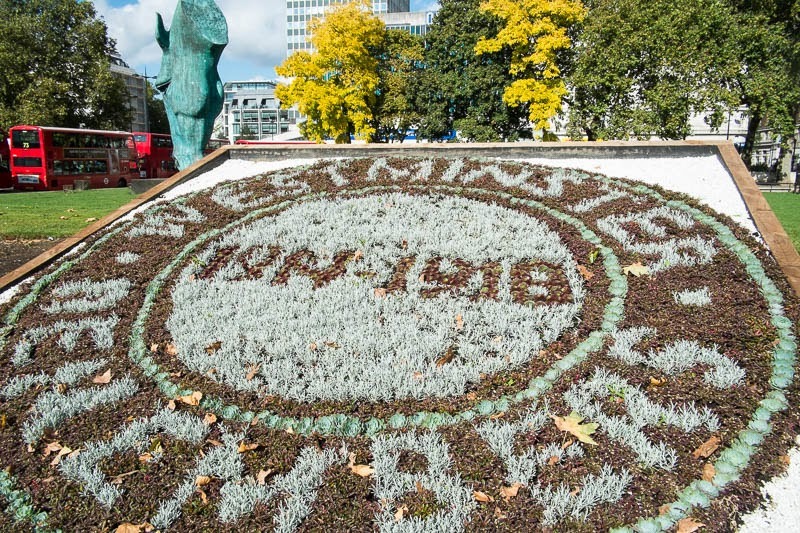 A garden tribute to WW1 near the Marble Arch entrance to Hyde Park. A very nice tribute. I love seeing these garden designs. Quite an impressive floral arrangement! This is a very fine tribute, especially on the 100th anniversary of the start of WWI.